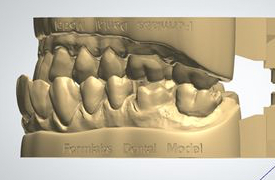 Dental Model Resin is a highly accurate material specifically formulated for creating crown and bridge dental models. 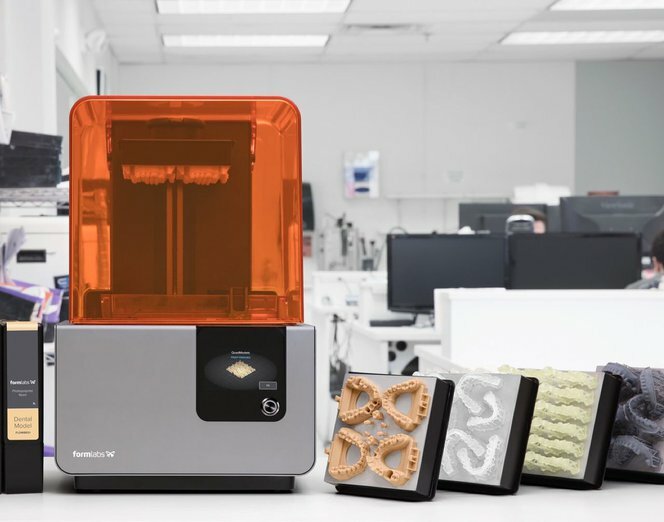 In this application guide, learn how to print models successfully on the Form 2 desktop stereolithography 3D printer. 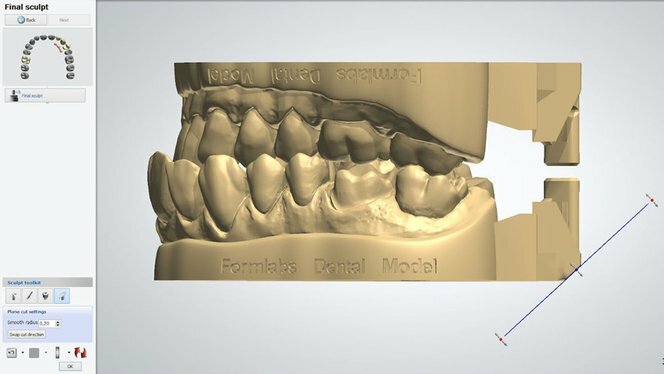 Make sure to follow the recommended workflow to ensure precise and accurate results. First, import the scans into your software. 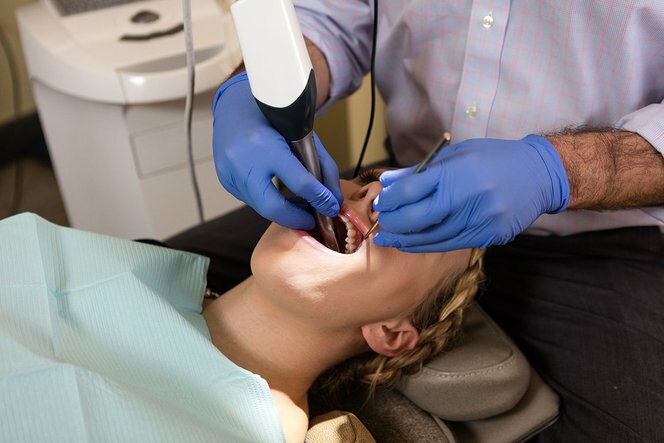 Use line marking or area selection tools to remove erroneous scan data and select only the portion of the dentition that will be printed. Select each tooth that will be converted to a die. Carefully edit the margin line for accurate marking. Check the insertion direction for each die. Generates dies automatically, based on user-input die and model settings. Note: These die and model settings will impact the fit and print quality of the dies. 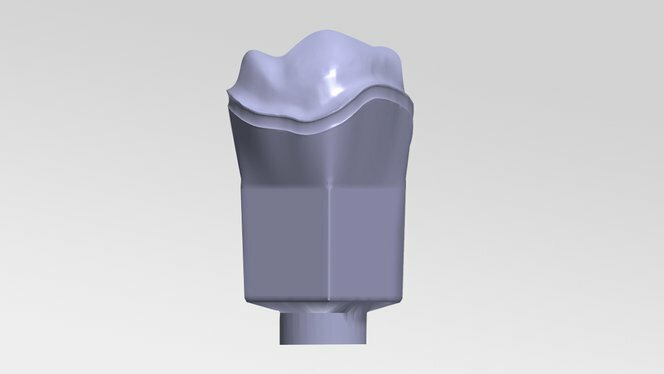 For information on optimum die and model settings, as well as how to download importable presets, see our detailed dental model support article. Optional: Unsectioned models with separately printed dies. As an alternative to printing models with removable dies, generate an unsectioned model to print, and generate a separate die for printing individually. To do so, generate an unsectioned model .STL, as well as separate .STL files for each die being printed. 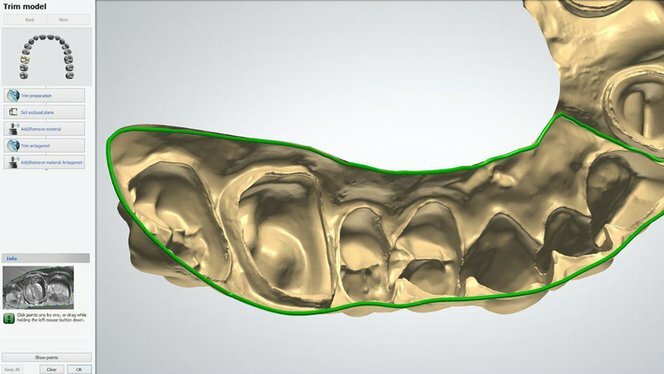 Automatically generate the model, with either hollow or solid model settings. Final sculpting is optional: to make support removal easier, use a plane-cut tool to cut a chamfer in one end of the model. 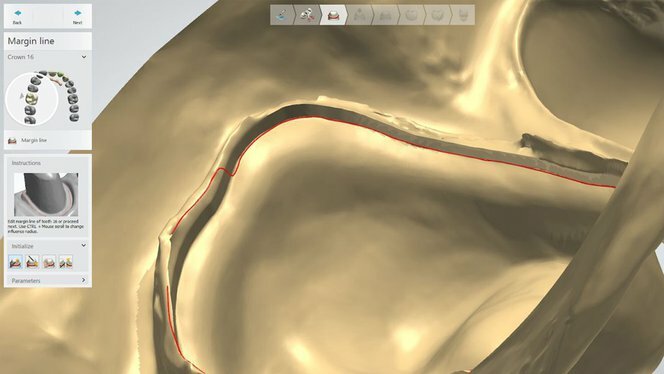 Create a digital model of the surgical guide in an .STL or .OBJ file format. Open PreForm. Select “Model” from the Material menu, as well as the desired layer thickness for printing. 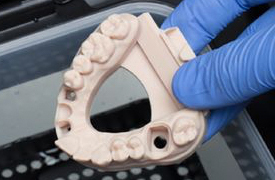 Printing at 0.05 mm layer thickness is recommended, as it achieves a clinically relevant level of accuracy, and is twice as fast as 0.025 mm print settings. 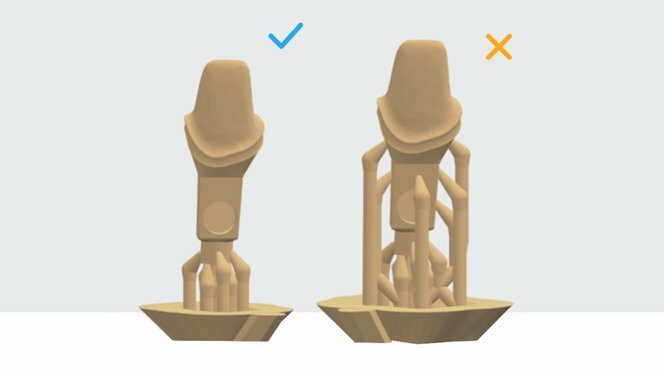 Print parts directly on the build platform to decrease print time and save resin. 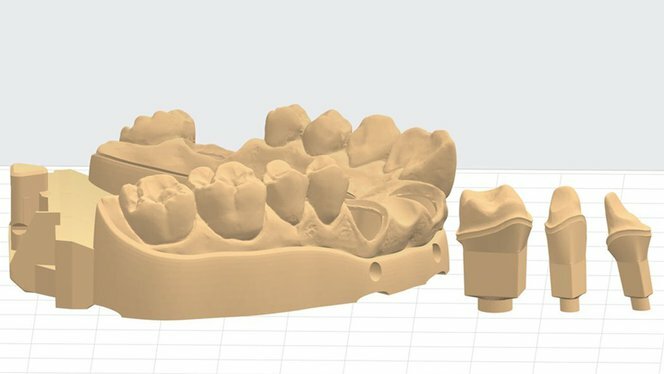 Both hollow and solid models can be printed directly on the built platform. To snap the flat bases to the build platform, use the “Select Base” feature under the Orientation menu. Printing on supports is also possible, and is recommended in cases where dies have small pin diameters (less than 3 mm). Insert a resin tank, resin cartridge, and build platform into the printer. Thoroughly agitate the resin cartridge before inserting, by shaking and turning it over several times. Use a dedicated resin tank and build platform with Dental Model Resin to prevent color contamination. If a chamfer feature was added to the models, remove models with part removal tool. In cases without chamfers, use flush cutters for easier removal of the parts. Wedge the flush cutters into a corner of the model, gently squeezing and rotating the handle to pry up the print until it pops up. To remove dies, slide the included metal spatula across the build platform. Rinse parts in isopropyl alcohol (IPA, 90% or higher; 99% recommended) until uncured resin is fully cleaned from the parts. For best results, use two Form Wash units, with one initial wash for 10 minutes, and a subsequent 5 minute wash in cleaner IPA. Alternately, use one Form Wash for 15-20 minutes and quickly rinse parts in clean IPA for 2 minutes afterwards. When using the manual Form 2 Finish Fit, rinse parts consecutively in two buckets of IPA for 10 minutes each. Leave parts to air dry completely, or use a compressed air hose to blow IPA off of the parts. Inspect closely to ensure all uncured resin has been removed from the parts. For optimal mechanical properties, accuracy, and precision, post-cure parts by exposure to light and heat. Cure time depends on the light intensity and the internal temperature of the curing device. When using Form Cure, which uses 405 nm light (the same wavelength as the Form 2’s laser), we recommend post-curing for 60 minutes at 60 °C. 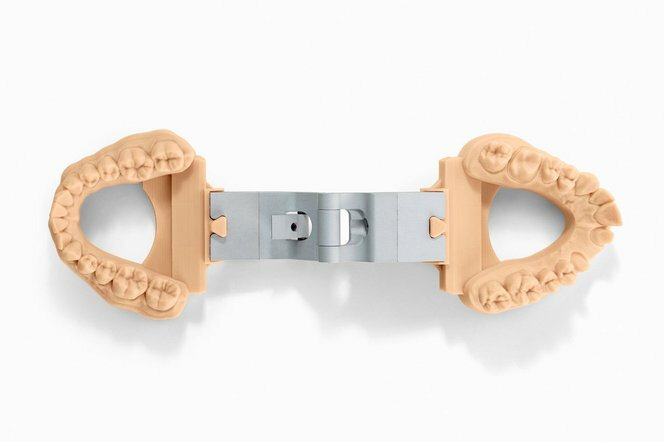 If parts were printed on supports, remove using flush cutters, or by grinding off with a rotating handpiece. When printing dies directly on the build platform, there may be small skirt-like features at the base of the pins. 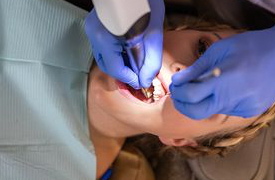 If these are visibly noticeable, sand or grind them off with a file or a rotating handpiece. Finally, assemble the dies into the models to complete the case. While printing, laser exposure will form white, clouded marks on the surface of the resin tank’s silicone layer. Tank clouding will eventually become extreme enough to affect accuracy; testing demonstrates that clouding affects crown and bridge models’ accuracy after one liter of resin. 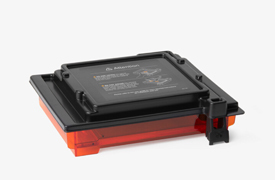 Check tank cloudiness, and change resin tanks with each cartridge or when part quality diminishes. 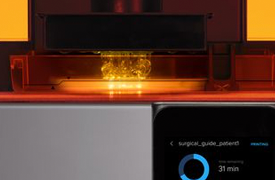 For questions or troubleshooting, click here for detailed instructions or contact Formlabs Support.